A Gates Foundation funded web portal for excellence in education, grades K-12. An award-winning PBS documentary about a 100 room architectural masterpiece with a dramatic 100 year history. What happens when one of the richest women in the world decides to build her dream-come-true-mansion … and nothing goes right? Nominated for two Emmy Awards, Best Documentary, Writing. 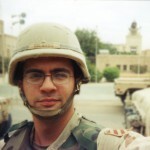 This is an award-winning feature length documentary about soldiers and the morality of killing in war, to be broadcast on the POV series on PBS, October 16, 2008 at 9pm. Produced and directed with Gary Weimberg. This feature length documentary produced for the San Francisco Foundation, follows a 5-year initiative to enhance civic unity in the West End neighborhood of Alameda, California. Dozens of documentaries of various lengths for organizations including: The San Francisco Foundation, The Women’s Foundation of California, the Bay Area Black United Fund, 7th Generation Fund, Liberty Hill Foundation, and Asian Pacific Fund and The California Endowment. is a 30 minute documentary video for the San Francisco Foundation about the Koshland Civic Unity Program. Co-producer/director Erin Crysdale. Bay Area Women’s & Children’s Center: 20 Years of Making a Difference, (2001) is a 20 minute video celebrating BAWCC’s community service and activism in the Tenderloin. Co-producer Erin Crysdale. is a one hour documentary special – the first ever – to be broadcast on The WB Network. Co-producer/directors Gary Weimberg and Judith Leonard. 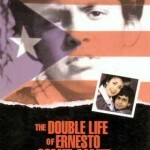 The Double Life of Ernesto Gomez-Gomez, (1999) is a one hour documentary about a teenage boy with 2 names, 3 countries, and 4 parents, broadcast in the POV series on PBS, 1999. Co-producer Gary Weimberg. The Story of Fathers & Sons, (1999) is a one-hour documentary special, broadcast on primetime ABC TV , 1999 and rebroadcast in 2000. Cine Golden Eagle. Co-producer/directors Gary Weimberg and Judith Leonard. The Story of Mothers & Daughters, (1997) is a feature length documentary broadcast on primetime ABC TV, simulcast in Canada, rebroadcast, 1999. Cine Golden Eagle. Co-producer/directors Gary Weimberg and Judith Leonard. Making Peace: Healing the Family (1996) is a documentary on violence and its impact on the family, one hour of a four-part series funded by ITVS for PBS. Health In View: The AIDS Education Touring Project, (1995) is a documentary about AIDS education for youth. Video. Maria’s Story, , (1990) is a documentary about one woman’s life in the war in El Salvador. P.O.V.,1991. Co-producer Pam Cohen. Film/video, 54 minutes. Gay Cuba! is a one hour documentary about gay and lesbian life in Cuba, produced by Sonja deVries, 1995. The Power of Choice: Friendship and Dating is a 30 minute video documentary segment of an award-winning PBS educational series by Elkind and Sweet, 1988. Dateline: San Salvador is a 30-minute documentary about El Salvador’s civil war. Produced by Camino Film Projects, 1986. The Elephant Flies is a documentary about Malcolm Forbes’ hot air ballooning tour of Malaysia, by Mishka Harnden and Gary Weimberg, Fox, 1986. The Great Sky Elephant is a documentary about Malcolm Forbes’ hot air ballooning tour of Thailand, by Mishka Harnden and Gary Weimberg, Fox, 1985. Breaking Ground is a documentary about El Salvador and the effects of the Civil War on life in the countryside, produced by Camino Film Projects, 1985. Return of the Jedi is a 35mm feature by George Lucas,1983. Routine Pleasure is a documentary by J.P. Gorin, 1986. A Tale of Two Sphinxes is a documentary by Haugse/Harnden, 1984. We Can is a documentary by Woody Clarke, 1984. In the Name of Democracy is a documentary by Camino Film Projects, 1984. Wild Rose is a 35mm feature by Sandra Schulberg and John Hanson,1983. Twice Upon a Time is an animated feature by George Lucas & John Korty, 1982.